Dr. J. Stuart Nelson, M.D., Ph.D., is Medical Director of the Beckman Laser Institute and Medical Clinic, and Professor of Surgery, Dermatology and Biomedical Engineering, at the University of California Irvine, located in Southern California in Orange County. Dr. Nelson specializes in the diagnosis, clinical management and treatment of infants, young children and adults with port wine stains, hemangiomas and other vascular malformations. Dr. Nelson’s university-based clinical practice and research combines his expertise in engineering, optics, medicine and surgery. In addition to Dr. Nelson’s faculty, research, teaching and clinical responsibilities, he is the Director of the Vascular Birthmarks and Malformations Diagnostic and Treatment Center (VBMDTC) at the University of California Irvine Medical Center. Dr. Nelson and colleagues developed the “Dynamic Cooling Device” which in conjunction with pulsed dye laser technology has become the treatment of choice for the treatment of port wine stain birthmarks, hemangiomas and other vascular malformations. Worldwide, this methodology developed by Dr. Nelson has now been incorporated into more than 15,000 laser devices. Because of Dr. Nelson’s expertise and the program’s reputation for providing high quality care with the latest technology, patients with port wine stains, hemangiomas and other vascular malformations travel from all over the world to the Beckman Laser Institute to seek treatment. Dr. Nelson has published more than 300 scientific articles and 13 book chapters. 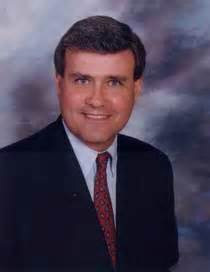 Dr. Nelson served as President of the American Society for Laser Medicine and Surgery (ASLMS) 2001-2002. He assumed the position of Editor-in-Chief of the ASLMS journal Lasers in Surgery and Medicine in April 2005. Dr. Nelson is internationally recognized in the field as an expert in port wine stains, hemangiomas and other vascular malformation. As such, he has been invited to Belgium, Canada, China, Germany, Hong Kong, Indonesia, Israel, Italy, Japan, Malaysia, Netherlands, Norway, Russia, Saudi Arabia, Slovenia, Spain, United Kingdom and Vietnam to address major international meetings.